Keeping in view of the tough topographical conditions of the hilly state of Himachal Pradesh, surface transport is the only medium of transportation in the state. The state run Himachal Road Transport Corporation (HRTC) is an only reliable transport facility in the state. Ensuring safe and comfortable journey on the hilly terrain, the HRTC has a fleet of nearly 2700 buses, including 72 luxury and super luxury which are plying on nearly 2400 routes across the State and covering over 4.60 lakh kilometers daily. This includes roads passing through zig-zag, curvy, mountainous, harsh and tough terrains, even upto 16000 feet above sea level. The state government is also modernizing its transport system. Corporation has added buses with modern technology to the fleet besides construction, up-gradation and modernization of various bus stands and workshops with required modern facilities. The State Government is considerate about minimizing road accidents. With the assistance of Government of India, all black spots are being identified and needful would be done besides constructing strong crash barriers to minimize road accidents. At least two driving schools would be opened in each district of the State for which GoI would provide Rs. one crore for each school. As many as 1000 new ambulances fully equipped with lifesaving equipments would be made available on National and State Highways. Speed governers would also be installed at various points on the roads. The State Government has also taken measures for improving the performance of Himachal Road Transport Corporation (HRTC). A pilot project for cashless ticketing is being started in Shimla town. Cash award of Rs. 1 lakh each would be given to driver and conductor in each year showing highest performance in Kilometers per litre and Rs. 1 lakh will be provided to the technical staff which would reduce the operational cost to the maximum extent. CCTVs have been installed in various bus stands and in phased manners all bus stands would be covered in the state. Similarly the process is on for installing CCTVs in luxury buses like Volvo. Helpline numbers 9418000529 and 980500529 have been started for the convenience of commuters. Average 50-60 calls in respect of HRTC & Private buses are being received daily. During past three years, 1300 new buses have been added to the HRTC fleet and 316 more buses including 16 luxury buses would shortly be added. 365 news routes have been added during the same period. These buses have been equipped with GPS, CCTV and passengers information system. Government is endeavouring to connect all the pilgrimages and historic places of the State with major towns by luxury bus services. Super luxury bus services have been started between Manali-Jaipur, Shimla-Katra and Shimla-Hardwar. Online booking for all types of buses plying from Shimla, Delhi, Manali, Chamba, Dharmashala, Kangra, Baijnath, Palampur, Mcloadganj, Hamirpur, Hardwar & Chandigarh has been started and soon the same is being extended for Rampur and Sarkaghat. 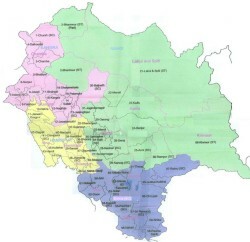 In order to make the HRTC self-reliant, revenue enhancement is one of major concerns of the Government. 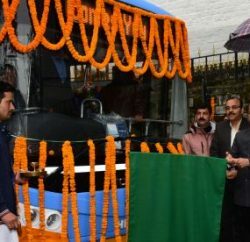 The HRTC has introduced taxi services in Shimla town which is plying successfully on restricted routes and serving the people, particularly the senior citizens, ailing, physically challenged, women and children. 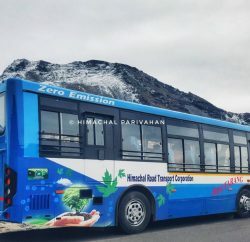 The Corporation has initiated the process to introduce CNG buses for tourists on Manali-Rohtang routes.